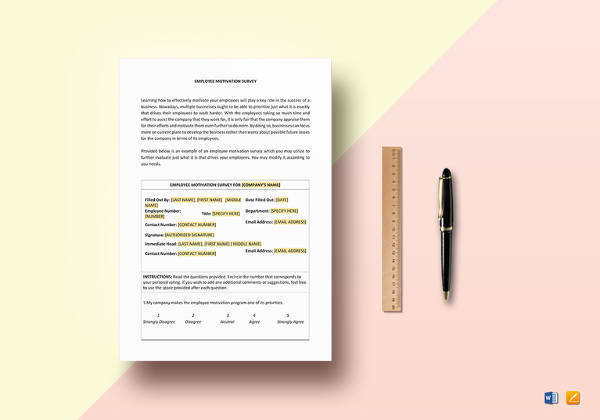 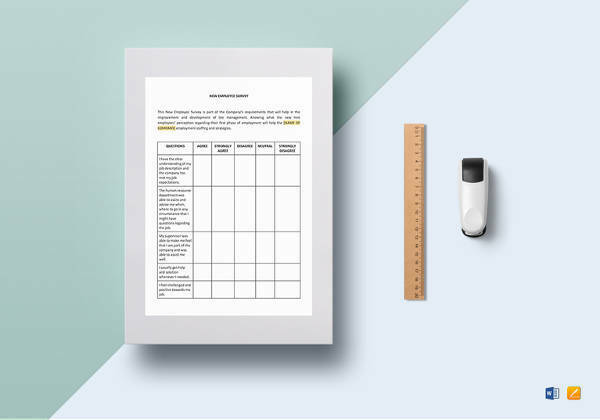 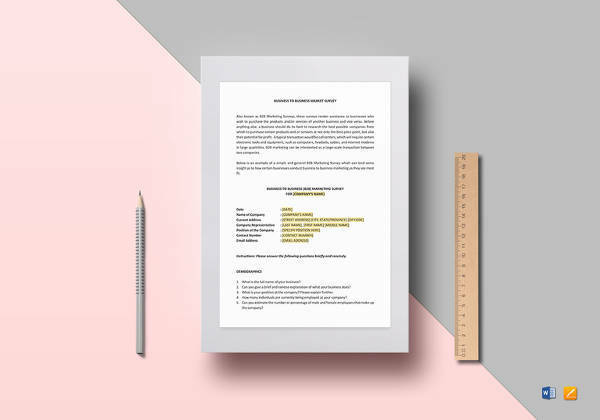 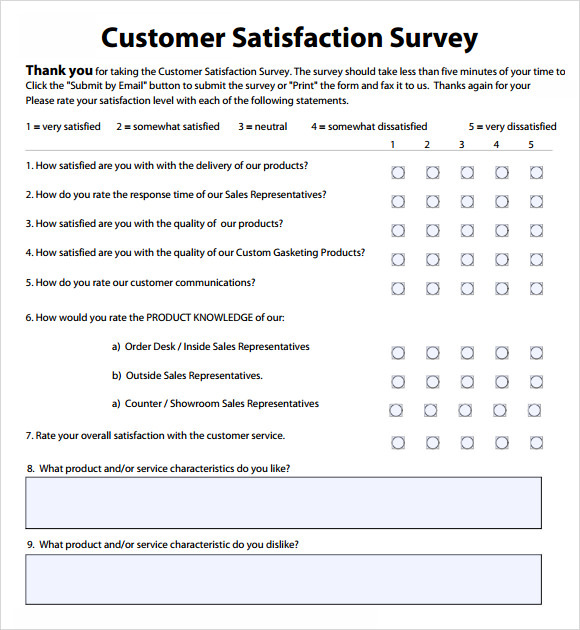 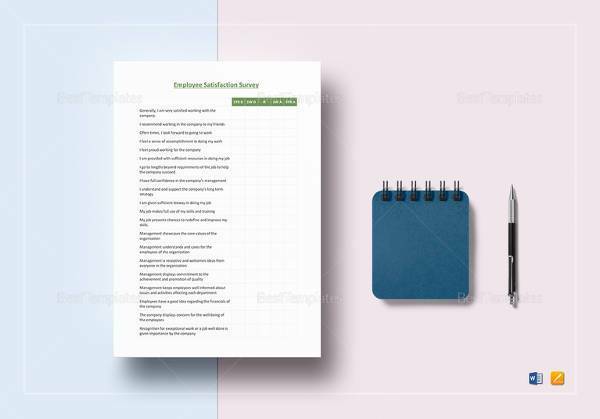 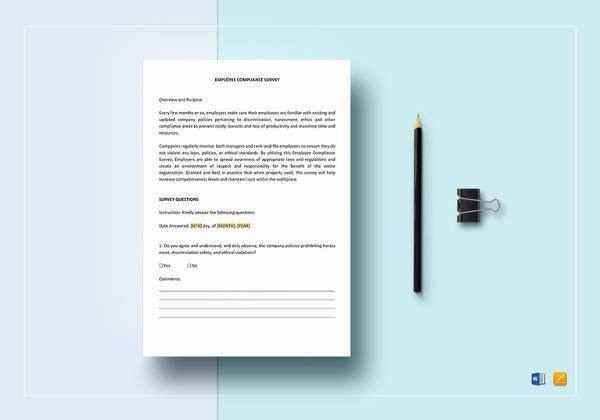 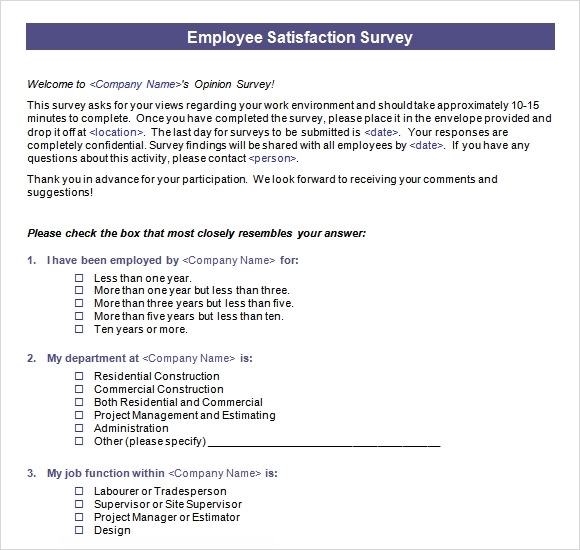 Employee satisfaction templates are a great way to find out if your company is able to satisfy your employees Training survey. 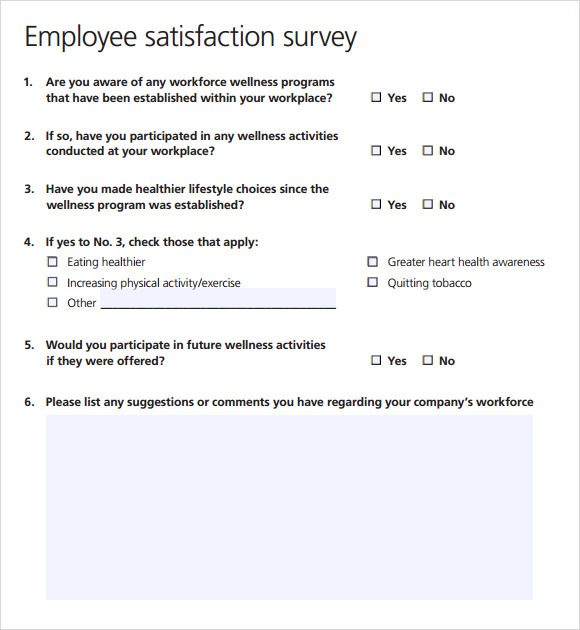 These not only help in judging their experience while working at your firm but also says a lot about the work environment they are subjected to every day. 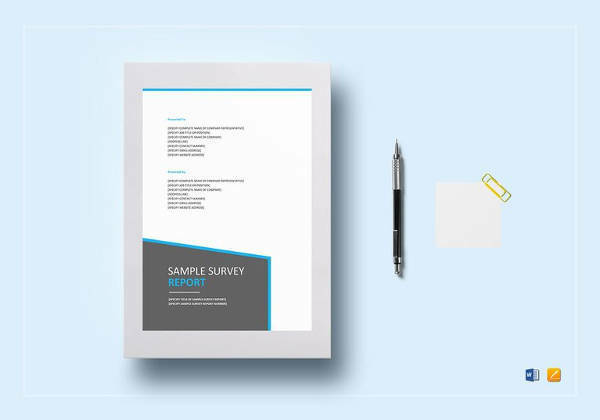 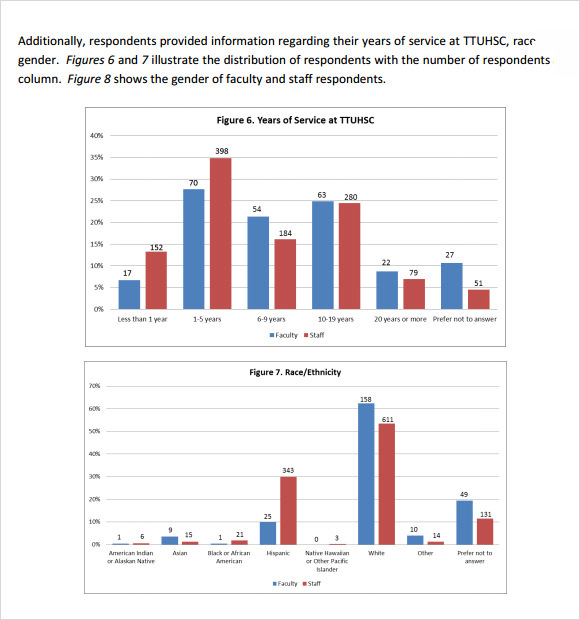 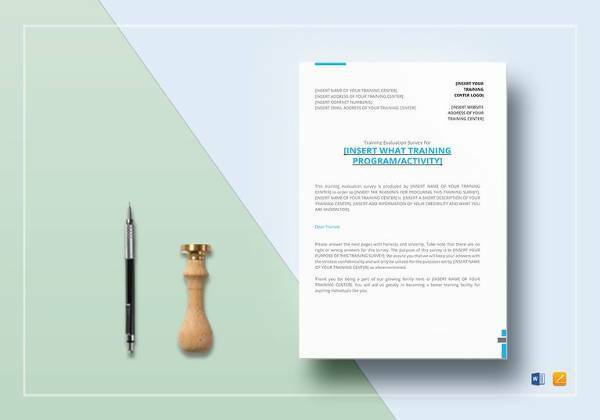 These templates vary a great deal depending on the nature of the Training survey. 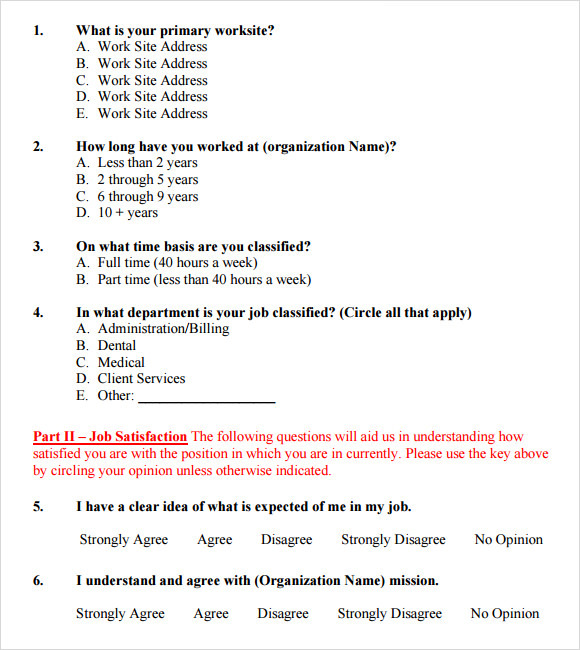 These many include the agreement and disagreement status to certain statements related to work, mostly related to various categories like salary, benefits, frequency and amount of bonuses, connection between pay and performance, supervisor credibility, feeling valued, sense of shared mission, job fit and more.